“Essence” a solo exhibition by artist Pema Tshering, which opened at the Voluntary Artist Studio Thimphu (VAST) gallery in Thimphu on November 3, offers insight into the landscape and people of remote Bhutan. 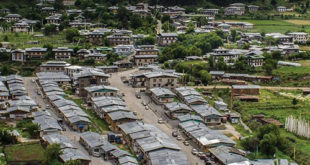 Different sides of multi-faceted Bhutan are depicted in the exhibit. The image of the Buddha appears in many works, showing the significance of religion in the Bhutanese way of life. Dzongs stand majestic, nestled in the lush and verdant landscape. 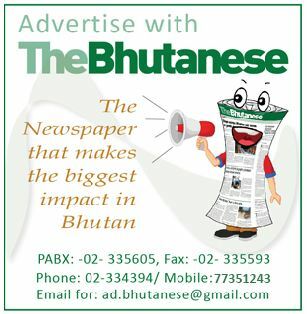 For Pema Tshering, also known as Tintin, and a founding member of VAST, Bhutan is a great source of inspiration as it is a land where myths and legends come alive and a place where one can find the true essence of peace and happiness. He said that his journey as an artist has enjoyed the dual blessing of being born in a nation like Bhutan, which has a strong, vibrant and colorful tradition of art, and being involved since childhood with VAST where I have been constantly exposed to new artistic styles and traditions. The exhibition is on until 17 November.